Northeast Florida's largest locally owned and operated ambulance service. Our Communications Specialists are trained to effectively handle any emergency situation which may arise. From medical appointments to dinner out with your family, our wheelchair service is second to none! 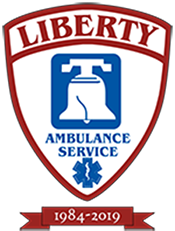 Liberty Ambulance Service has been a leader in Florida EMS for 35 years. Our University of Maryland at Baltimore trained Critical Care Paramedics are the highest educated first responders in North Florida. Though we specialize in critical care transports such as ventilator and bipap, we offer the same professional treatment no matter your needs.